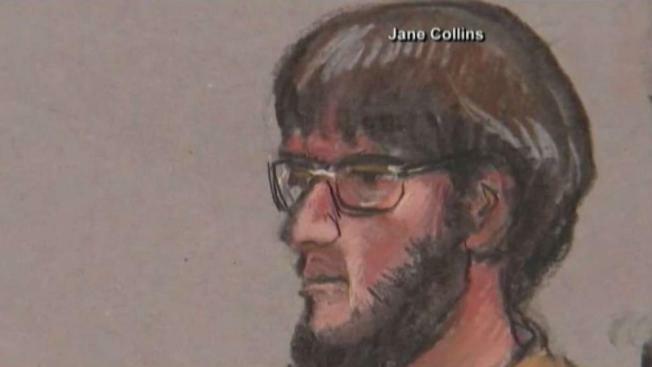 A Boston police captain's son who is accused of plotting a terrorist attack on a college campus to support the Islamic State group is expected to plead guilty. A Boston police captain's son has pleaded guilty to plotting a terrorist attack on a college campus to support the Islamic State group. Alexander Ciccolo pleaded guilty in Springfield's federal court Monday to attempting to provide material support to a foreign terrorist organization and attempting to use weapons of mass destruction, among other offenses. The plea deal calls for a 20-year prison sentence. Ciccolo was arrested in July 2015 after receiving guns from a federal informant. Prosecutors say he told a cooperating witness that he wanted to attack a university using guns and homemade bombs similar to the pressure cooker bombs used in the 2013 Boston Marathon attack. Ciccolo was scheduled to go on trial next month. Ciccolo's mother has said her son wouldn't "hurt a fly."